Expository guide showing how the surprising glory of the cross transforms Jesus' followers. 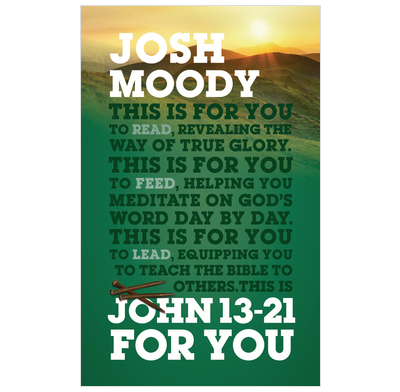 Josh Moody takes readers to the upper room with the disciples, to the cross with the Lord Jesus, and on to the empty tomb and the shores of Lake Galilee, showing at each point how gazing at the surprising glory of the God of the cross transforms his followers. This Expository Guide takes you verse by verse through the text in an accessible and applied way. It is less academic than a traditional commentary and can be read cover-to-cover, used in personal devotions, used to lead small group studies, or used for sermon preparation. There is an accompanying Good Book Guide for small group Bible studies.